I was reading the news the other day about an inflatable dinghy that had been found on the Kent coast and they were searching for the migrants that were suspected to have reached the UK in it. As it happened the migrants were found just hours later. I said to a friend how I felt for the migrants in the boat. 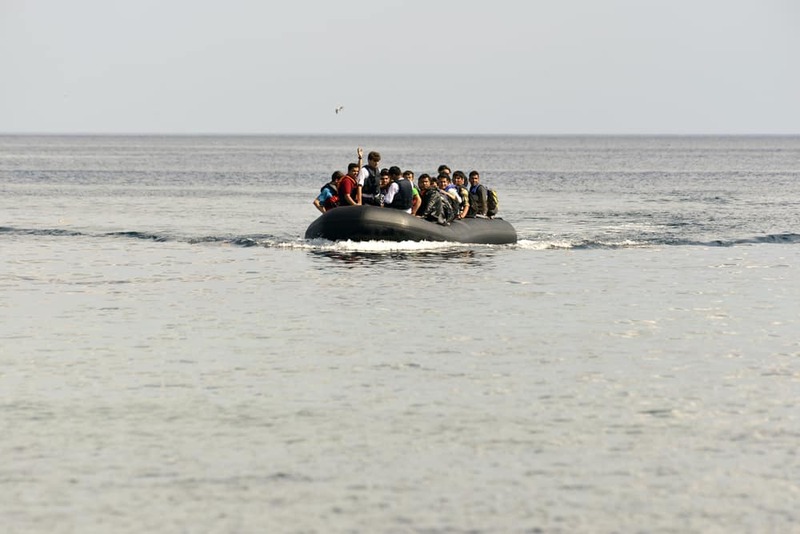 How horrendous it must be to have no other option but to get into an inflatable boat and cross vast oceans in the search of something, anything that would be an improvement on the hell they have been living. I was so shocked by this but in that instant I realised that it wasn’t just my friend that had that reaction. Many, many people’s first thoughts when the subject of migrants come up is why do they come to the UK. Why do they choose our little country, put strain on our resources and economy and help to overfill a country that is already being stretched to breaking point. But that shouldn’t be the question – and the answer is irrelevant. The majority of the people in the UK live such a privileged existence – whether they realise it or not. We have no constant threat of war. Children are able to go to school without their parents worrying that they’ll get blown up on the way. Parents can go to safe jobs in safe environments and there are places to live that are safe too. The majority of people in the UK are safe. They sleep easily, they turn the light out without a second thought and they step out of their front door without fear. As well as that so many of us have luxuries. Mobile phones, favourite clothes, boxes full of memories tucked away in the loft. We have huge televisions on the wall, family photos on the mantle and food in our fridges. Don’t get me wrong, I know this isn’t the case for many people in the UK. I know there are real cases of poverty, homelessness and unemployment but, I am purposely making a generalisation here so bare with me. We, in the UK, have it pretty good, generally. I think most of the people in the UK would say they are happy to live here and wouldn’t rather live in another country. We have the NHS, we have emergency services when we need them, we have the army and navy, we have the monarchy and we have a parliament and Prime Minister. We have systems, processes in place, law and order. None of it is perfect – there is always room for improvement, but we have it pretty good. Now, imagine being in a position where you can’t walk out your front door without fearing for your life. Or, worse than that, no-one has a front door. You don’t have a safe space to live, to work, to learn, to sleep. Imagine being so scared for your life, and the lives of your family that you somehow find the money to get in the back of a truck of someone you don’t know, to leave in the dead of night with only the clothes on your back and your child’s hand in yours. Imagine leaving all you know behind – all your possessions, your family, your town. 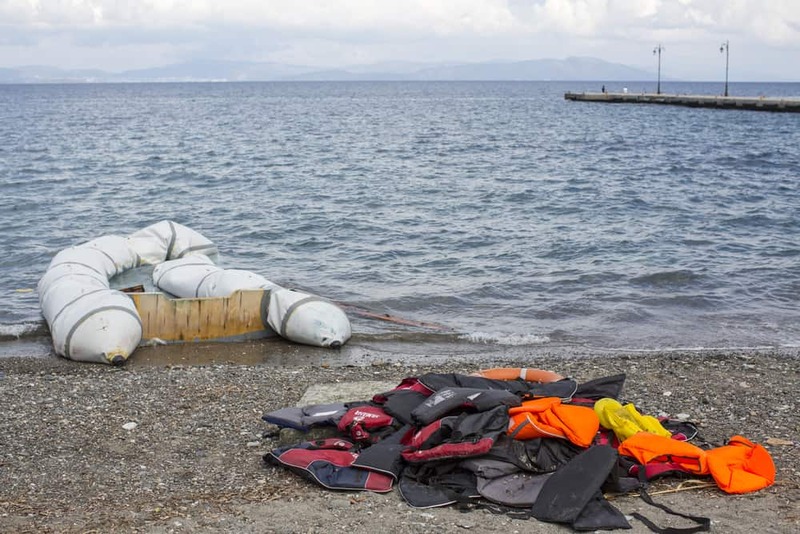 Everything you have ever known to get into an inflatable boat made for six but holding twelve and being pushed into the sea in the dark with not enough life jackets for everyone. Imagine travelling across the sea all night, with no lights that would announce your presence, having to bail out water with a cut up milk carton as the boat can’t cope with the weight of the people in it. Just imagine how scary that would be – but having no other choice. The boat finally reaching dry ground and having to yet again go into hiding. Not being welcome in the country you have landed in but at least you are safe and alive. But many aren’t that lucky. Now, I wonder why migrants come here. We’ve all seen that photo of the poor little boy on the beach, the poor boy whose family had no other choice but to at least try and get a better life. Migrants come here just like they go to Australia or Canada. They come here because they have hope and they know that our countries are so far removed from the world they have known. They come here looking for compassion and to try and extend their lives by a few more years. The question isn’t why they come here and the answer to that question is irrelevant. The question should be what can we do to help? And the answer for all of us isn’t that difficult. When you see migrants on the news or even migrants in your town or city, ones who have come here in search of a better life, just have some compassion. Realise that it takes so much to leave everything you have and everything you know, risking your life to start afresh. Take a step back and don’t think of yourself or your country, think of them, where they have come from and what you would do in that same position. I’m not sure I could get in that boat in the first place but if I was in that position I would like to know that if the boat reaches the coast, and I land in a country where I don’t even speak the language that there will at least be a friendly face to greet me. I don’t agree. I think the answer to that question is very relevant, because these migrants aren’t fleeing a war in France or Ireland (as in a neighbouring country). They pass through many countries in which the risk of them being blown up is practically non-existent and where life is good. It’s not like the standard of living in Austria, Germany, Italy, France, Low-Countries, Spain, Portugal, and so on is lower than in UK. They are trying to come here because the law gives them the possibility to bring back relatives from war-torn countries, if they get asylum. It’s heartbreaking to think of the ones they leave behind, most of them more in need of protection than the ones strong enough to leave. It’s also heartbreaking that they need to take this journey when the other countries could offer them the same possibility to bring their family to safety, but chose not to. If only politicians from all the western world would think of suitable ideas for migrants and their families. If only they would help them to safety and help them continue to develop, find jobs, being in education. Helping migrants not taking risky journeys, paying huge fees to smugglers, would help with the war effort and/or cartels, as smuggling migrants is very lucrative. I think you missed the point of my post. I wasn’t talking about ‘here’ as in the UK, I was talking about ‘here’ as in any country that they end up in – as I am sure people in most countries ask the same question ‘why do they come here?’. This wasn’t really about the UK, more about people’s response to migrants as a whole. I can’t know for sure what your friend meant by “here”, of course. 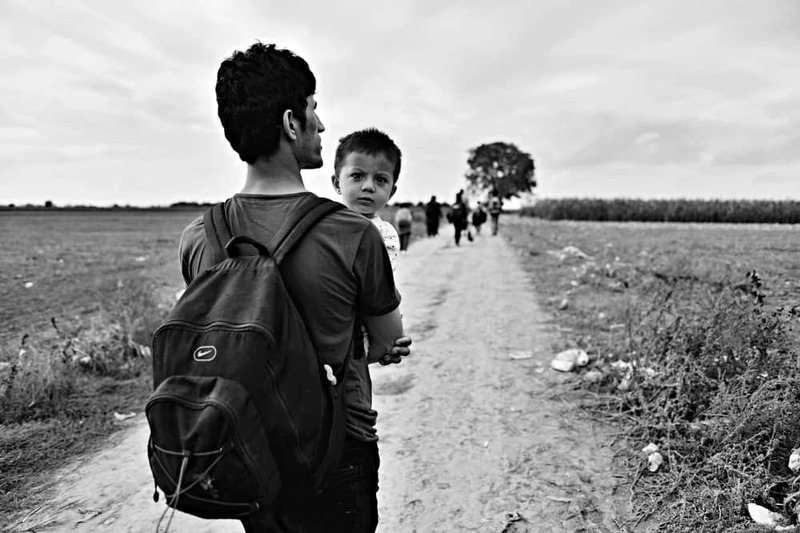 To be safe, migrants need only to cross one border and go to a country where there isn’t a war. I would think that anybody asking why people want to risk their lives further and leave that safe country is the real issue. There is the real problem, why don’t we, the rest of the world, help them there, at that point. I would recommend Paul Collier’s book: Refuge, if you want to read about this. I enjoyed the book a lot. Unlike the most people in UK, I know how it is to be a scared child at home and hear gun shots during the revolution. Not fully understanding what happens. Luckily for us, the revolution was quick and with minimal loss of life, and the iron curtain was down. Maybe I wouldn’t interpret this question as you did because for me is very clear, people flee because they want to live. We all want to live. Also – I kind of see the world as belonging to everyone. Just because someone is born in Syria doesn’t mean that’s where they have to stay. The whole world belongs to every single one of us and we should be free to move anywhere. I hate all this idea of barriers/anti-immigration / Britain should be British blah blah blah! I wish more people would see the world as a whole and realise, it belongs to us all and we don’t own our own little patches of soil. It’s such a tragic situation and we are incredibly lucky to live here. That said, it could just as easily happen in the UK as Syria. We’re not immune to war, just because our lives now are so privileged. Thinking about it in that way always makes me even more sympathetic to asylum seekers because they are us, and we are them. Only luck makes us the ones tucking our children into bed tonight while they tuck their children into the corner of a truck and hope they will survive the journey. Of course we should all help, wherever we live and however we can. We would want the same as them if the roles were reversed. This post is spot on, Donna, and so well-timed. I get so angry when I see the drivel from people moaning about how much our government offer refugees and asylum seeks. Firstly, so what? Walk a mile in their shoes and see how lucky you really are. Like you said, it’s not perfect – there are huge improvements needed in our government. But in comparison to the government people have fled, it’s nothing. At least you’re not at risk from death or in a position where you need to leave everything. People need to recognise their privilege. Secondly, when you actually compare the numbers between the amount “we” give asylum seekers compared to benefits given within the UK it’s nothing. It really is. I know I am incredibly fortunate to have been born in this country, and I recognise how privileged I am in one way or another. Its a shame that others can’t see this.